Created by Google, Angular is a framework that makes it easy to develop web applications. Combining declarative templates, dependency injection, end-to-end tooling, and integrated best practices, it solves challenges when creating a web app. According to the recent research, Angular is considered to be the most generally used technology in 2018. Modules. Used to speed up the complex app development. Containers that organize and combine the functionality blocks like components, directives, services, etc. making sense of how the application parts fit together. To facilitate the development of complex applications, the code can be organized into distinct functional modules. Directives. Custom attributes enhancing HTML-based syntax and attaching behaviors to the specific page elements. There are three types of directives - attribute directives that modify the behavior or appearance of a component, element, or another directive, components – directives with a template, and structural directives that add or remove DOM elements. Templates. These are app attributes and elements that combine information from the model (M) and controller (C) to render the dynamic view (V) before displaying. Components. They are considered to be the building blocks of Angular apps. Any app should have at least one component, known as a root component that contains all other components. They define views (sets of screen elements) that Angular can choose among and modify according to the program logic and data. Dependency injection (DI). Deals with how objects and functions get created and how they wire dependencies. It helps to keep the component classes lean and efficient delegating tasks. Data binding. The process that links a component to its template and allows data and events to flow between them. There are two types of data binding - event binding that allows an app to respond to user’s input in the target environment, and property binding that allows interpolation of values calculated from application data into the HTML. Metadata. Instructs Angular on how to process or decorate a class so that it can configure the expected behavior of the class. The metadata for a service class offers the information required to provide to the components through dependency injection (DI). Services. They are reusable functionalities that are independent of the views and can be called from one main source, rather than repeating the same function in different locations. The view communicates using $scope. $routeProvider.when() to configuring routing is used; ng-view present is replaced with . Search engine friendliness is a major issue. Centers around component-based approach in which components are the app building blocks that make it more testable; $scope was removed. It is five times faster compared to the Angular 1.0. Uses the same concept and patterns as Angular 2.0. The view engine decreases the generated code size with the Ahead of Time (AOT). Supports TypeScript 2.1 and TypeScript 2.2 compatibility. Animation features are separated from @angular/core package and moved to a new one. Else block can be used along with *ngif. Also, you can read some information about Angular 4.0 here. The HttpClient provides advanced functionality like the ability to catch progress events and interceptors to monitor or modify requests or responses. Components and directives can be named multiple times when to help migrate without breaking changes. Expression lowering support in decorators are improved. The value of useValue, useFactory, and data are supported in object literals. Furthermore, a lambda can be used as an alternative to a named function. Build optimization that decreases the build size and boosts the app load speed. Date, number, and currency pipes increase the standardization across browsers and eliminate the need to use polyfills for achieving. Compiler and Typescript improvements that offer faster apps re-builds, especially for production builds and compilations with AOT (Ahead of Time). TypeScript 2.4, which allows connecting to the standard TypeScript compilation pipeline. RxJS 5.5.2 allows you to dodge previous import mechanism side effects with a new approach called “lettable operators” which remove the tree-shaking/code splitting and side-effects problems. Ng-update and ng-add CLI commands have been added. Ng-add provides the capability to add a new module/package to the current application. The ng-update offers a list of packages that need to be updated over time. It is possible to register custom elements to replace the need to manually bootstrap the components found in static HTML content. A badge and bottom-sheet components help display small bits of helpful information (badges) and present a list of options following an action (bottom-sheet components). RxJS v6 that was introduced at ng-conf and brings a few major changes, along with a backward compatibility package rxjs-compat for keeping applications working without breaking components. CLI projects use angular.json instead of .angular-cli.json for build and project configuration that also adds support for creating and building libraries with the command ng generate the library. The community has extended the long-term support to all key releases starting with the fourth version. With updated CLI options there is no need to remember common commands like ng-add/ng-new. Currently, our favorite command line tools have prompts to guide you on the fly. Added ScrollingModule provides virtual scrolling that allows visual elements to virtually load and unload from the DOM building very fast experiences for users and significantly increasing the performance. Updated compiler allows reducing the bundle size that gains in a huge performance. Modal windows, overlays, and drag and drop features, are available in the @angular/cdk that simplifies the process of creating drag-and-drop interfaces. There have been updated the dependencies on the major 3rd party solutions - TypeScript 3.1, RxJS 6.3, Node 10 with support. It is possible to use , as a new standard HTML element, to project markup into the component's template. Model-View-Controller or MVC architecture attaches value to the framework when creating a client-side app but also sets the foundation for the other important features like data binding and scopes; it automatically combines all the app elements without adding extra code. With MVC architecture, it is possible to isolate the app logic from the user interface (UI) layer and support separation of concerns. The controller (C) receives all requests for the application and then operates with the model (M) to prepare any data needed by the view (V). The view (V) then uses the data prepared by the controller (C) to display a final presentable response. Some large web application contains a great number of components. Angular simplifies the way of managing them even if a new programmer joins the project after the development process begins. The architecture is built in a way that helps the programmer to locate and develop the code without any difficulty. Module is known as a mechanism used to form into groups related to each other directives, components, pipes, and services so that they can be combined with other modules to build an app. In short, Angular-based app can be considered as a puzzle where each module is needed to be able to see the full picture. There is a great number of ways to add different elements to a module. 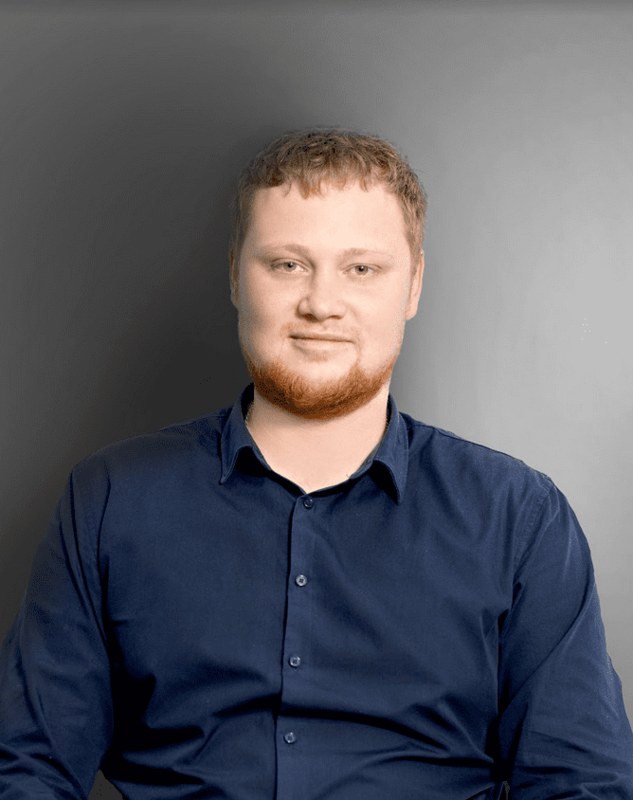 Angular solves the problem of global function exploitation by limiting the scope of all the functions to the module, in which it was defined and used. NgStyle adds and removes a set of HTML styles. Along with inbuilt directives, Angular also allows you to create custom directives. A service or component may need other dependent services to complete a task. A dependency injection design pattern is used to fulfill these dependencies. Its advantage is dividing the task among different services. The client service will not create the dependent object itself rather it will be created and injected by an Angular injector. 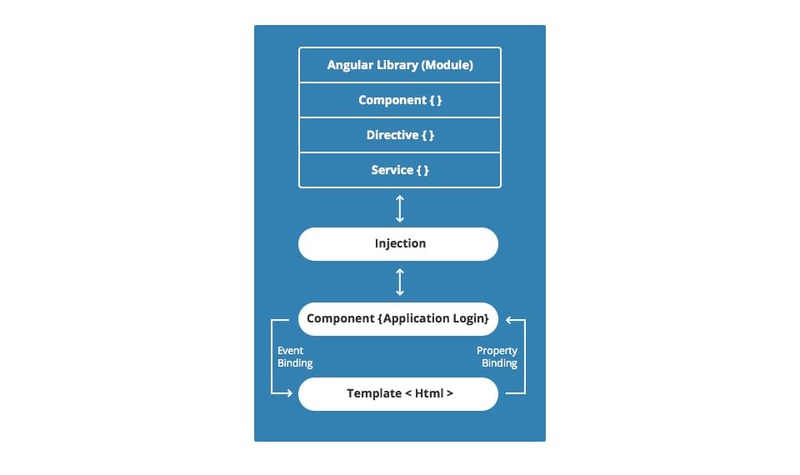 The responsibility of Angular injector is creating service instances and injecting them into classes like components and services. The point is that the data can flow in two directions - from the source to the controller (C) and vice versa. Having this advantage in mind, there is a possibility to change both model (M) and view (V) by altering the value in either. One-way data binding architecture will allow you to change the value of the data in the model (M) to reflect that change in the view (V). The primary benefit of this plus point is data store and UI updates happen automatically that allows you to remove a lot of logic from the front-end display code. Used with expressions to change the data into the appropriate currency, date/time, JSON string and other formats; to arrange an array of data by adding these to the directives by using a pipe character. Furthermore, you can also create more custom filters for more specific needs. These filters will work exactly like the inbuilt filters within the scope of the parent module or application. When creating an app, you also should remember about its performance - initial load time, responsiveness to user's requests, etc. Mobile app performance has a great impact on user retention, conversion and app ratings. With Angular, you can reduce the workload from server CPUs, supporting caching and other processes. As a result, the server is well-functioning because of reducing traffic, serving static files and responding to the API only. Testing is generally thought to be a vital part of the development and production processes. This framework has been built in mind with the features that support testing. With the help of DI features, testers can easily insert the test data in the controller to check its output and behavior. The framework also has a dedicated unit-test runner used to check the app performance and verify whether an app works according to the client’s requirements and meets user’s needs. Below you can read about some limitations of Angular. Despite some of them, it is still considered to be a powerful tool for web app development. It’s easy to learn Angular in the basic stages. The moment you move towards the advanced stages, the learning curve turns out to be steep. Some unique features of Angular are quite complex, so developers find it difficult working with values, DI, factories at the very beginning. It's always vital to have reliable documentation to guide when creating an app. While the documentation for the framework has been updated, it still needs some improvement. It would be better to add more useful information to some methods and properties, some features comparison and changes. Well-written documentation with step-by-step instructions really saves time and simplifies the process of development. There is a wide range of directives, and they are highly complex to operate with. To understand their syntax, you really should spend a lot of time. As a result, you should think about how to write code without focusing on what you are writing. Even for integrating some code in the Angular environment, as an example some jQuery plugin, you need to wrap it in a directive. Debugging is critical when building an app. It is effortless to utilize the scopes but difficult to debug them. Sometimes developers were confused because there is no idea what scope is being used and what its value is being debugged at the moment in the app. Search engines still need to see the content and elements of the page in the source code to guarantee that it will be indexed correctly. There are some problems to speed up pages or to be indexed by search engines in Angular. Server-side rendering adds logic into HTML and Angular writes logic in HTML, there is no clear separation of concerns and as a result, you get a bad quality code. Angular is considered to be a full-featured and dynamic framework. Flexibility, usability, and maintainability make it unique and provide crucial chances to create excellent and successful web-based applications. We, at DDI Development, have a solid experience in building and delivering a wide spectrum of digital solutions as well as web applications. Let us know and we definitely help you grow your business and increase revenue.